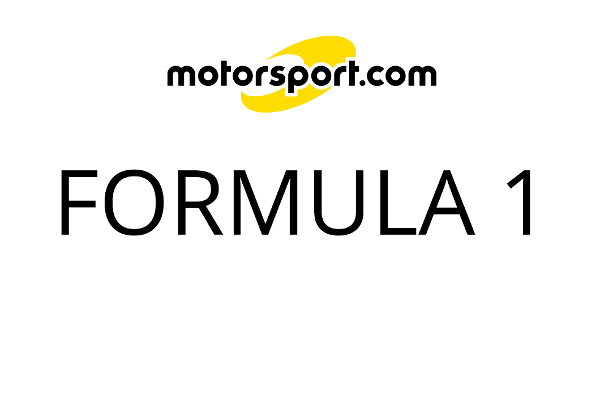 Murray Walker likes to say, "Anything can happen in Grand Prix racing, and it usually does." Never was this more true than at the 2000 German Grand Prix at the Hockenheim circuit. With some 3 km from the stadium section to the far end of the track, the conditions can vary significantly, and on this day, that variance was the key to victory. After starting his Ferrari from 18th grid position, Rubens Barrichello earned his maiden win through two safety cars, an errant fan on the track, rain at one end of the circuit - and some truly outstanding driving, especially in the wet conditions at the end of the race. 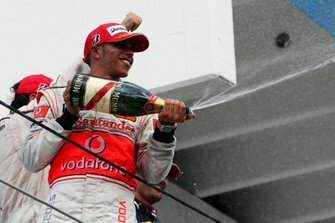 McLaren-Mercedes teammates Mika Hakkinen and David Coulthard finished second and third, after leading most of the race, as the Ferrari strategy for the wet conditions proved to be superior to the choice made by Hakkinen and Coulthard. And what about the championship points leader, Michael Schumacher? His day was over early ... very early. For that, we best revisit the start of the race, with that rather scrambled grid, as the qualifying, too, had had wet conditions for only part of the session. Coulthard was on the pole, having got it all right, with Schumacher next to him, but on the second row it was Giancarlo Fisichella in a Benetton-Playlife, ahead of Hakkinen. Behind them, in a further surprise, it was Pedro de la Rosa (Arrows) and Jarno Trulli (Jordan). Barrichello was way back, just behind Heinz-Harald Frentzen, who had also had a terrible qualifying session. When the starting lights went out, Coulthard focused on keeping Schumacher behind him, moving toward the middle of the track. Hakkinen saw the open track on the inside, and, with his usual fast reaction, catapulted through into the lead, reaching the first corner clearly in the lead. "This was one for my record books," said Hakkinen of his start. 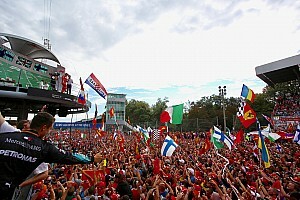 "I was going for the corner from the outside line to get a nice exit for the long straight," said Schumacher. "I was bumped from the back." However, most observers agreed with Fisichella's point of view more than with Schumacher's. "I was on my line, and then, suddenly, Michael's car was right in front of my front wheel so I went in to the back of his car," the Italian explained. "I think we should really decide in the rules about whether a driver should stick to his line or not because like this it's just a waste of a race." So at the front, it was Hakkinen, closely followed by Coulthard, and then Trulli, de la Rosa and Eddie Irvine (Jaguar), up from 10th to 5th. Barrichello was already slicing through the field, though, with Frentzen attempting to keep pace with the Brazilian as well. On the 6th lap, Barrichello drafted and passed Johnny Herbert's Jaguar - Herbert had passed Irvine two laps earlier - with relative ease, and set out after de la Rosa. Passing the Arrows, and then the Jordan, though, would take another ten laps. De la Rosa was especially impressive in the relatively low-powered Arrows-Supertec, but, in the end, there was no way to resist Barrichello's attack. Barrichello had truly been flying, and third place was now his. 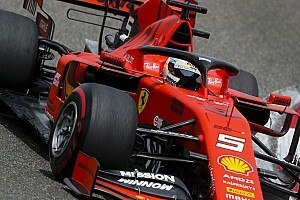 However, his speed had come at a cost: the Ferrari was on a two-stop strategy, and he had to duck into the pits after 17 laps, dropping him back to sixth place. The race transformed from mere excitement to the truly bizarre when the marshals spotted a spectator wearing, a plastic raincoat with slogans, walking across the track as Hakkinen was starting lap 25. Charlie Whiting, the FIA technical delegate, decided to take the safe route, and, rather than having the marshals attempt to remove the man -- later identified as a disgruntled ex-Mercedes employee -- he called out the safety car. With Hakkinen and the rest of the field not yet caught up to the safety car on the 6.8 km track, nearly the entire field ducked into the pits for the fuel stop as they arrived at the stadium. McLaren called in both Hakkinen and Coulthard, intending to have the Scot wait an extra six seconds or so until Hakkinen completed his stop first. 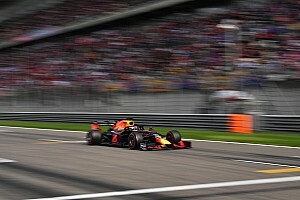 However, Coulthard could not hear his race engineer on the radio over the din of the 100,000 German fans in the stadium, and as he saw Hakkinen entering the pits, he stayed on the track for another lap. "At that point I didn't know yet that the safety car was out," explained Coulthard. Fortunately for Coulthard, most of the field did not catch up to the safety car in one lap, so when he pitted on the next lap, he lost only four places, dropping back to sixth, behind de la Rosa and Frentzen on the restart. The green flag had only been out for one lap, though, when the safety car was called upon again. Ralf Schumacher spun off at the first chicane, but restarted. However, Jean Alesi tried to force his way past Pedro Diniz' Sauber at the third chicane, and the two touched wheels with poor consequences for both. Diniz went off the track, and Alesi's fate was worse: His Prost-Peugeot lost two wheels, and spun off like a top, sliding and spinning across the grass at nearly 300 km/h. Fortunately he came to a stop without a heavy impact, and was able to walk away from the accident. But as the safety car collected the field again to allow the marshals to pick up the carbon fiber fragments from Alesi's Prost-Peugeot there was a gathering of another kind: dark, heavy storm clouds were appearing above the Hockenheim stadium. And, indeed, just a few laps later, rain is pouring down at the stadium. A few kilometers away, in the forest, the track was still dry, presenting a dilemma for the teams and the drivers. Wet or dry? Will the rain stay? Will it drench the entire track? Hakkinen stopped in five laps' time, on lap 35, and picked up rain boots for his McLaren, and Coulthard followed three laps later. 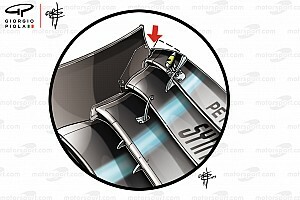 "Our car was fast today," said Hakkinen, explaining his decision to get wet-weather tires. "But it was not easy to drive..."
But Barrichello resisted the temptation to change his tires, choosing to stay on track on the standard grooved tires. The Ferrari pits radioed him, suggesting a tire change, but the Brazilian pleaded for a chance to stay out, replying "No ... let's stay one lap more. Let's try it." And he was right; the track was not wet enough to give the rain tires a decisive advantage. In the soaked stadium section, Hakkinen would make up some three seconds on him, slashing through the standing water, but Barrichello would make up almost all of the time in the long, dry forest section. At the checkered flag, the closest Hakkinen could get was some 7.5 seconds adrift of Barrichello. Coulthard was a further 14 seconds behind Hakkinen, also unable to make an impression on either the Ferrari or his teammate's McLaren in the closing laps. Behind Barrichello, Hakkinen and Coulthard, there was a frantic scramble for the other three points-paying positions. 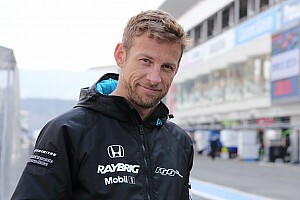 Jenson Button was flying, having made it past de la Rosa, and now passed Mika Salo's Sauber for fourth, to give Williams three more valuable points, and a hold on third place in the Constructors' Championship. So it was an emotional win for Barrichello, his first in 124 starts, and well earned, too - not just a gift from a teammate. Beyond that, it puts him into championship contention, as he now has 46 points, only ten behind his teammate. McLaren, too, is now in a strong position, with Hakkinen and Coulthard tied for second in the Drivers' Championship with 54 points, two behind Schumacher, and the team staying four points behind Ferrari for the Constructors' Championship.